Home Blogs A Walk on the White Side What players do Real Madrid need to sign? What players do Real Madrid need to sign? The transfer market has been pretty quiet for Real Madrid so far this summer. Los Blancos have only bought Brazilian right-back Danilo and have exercised their buy-back contract rights over midfielders Casemiro and Alvaro Vazquez, who spent one year gaining experience at Porto and Espanyol respectively. There have not been any major signings. 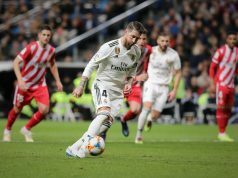 In fact, there is more talk on the possible exits, with Sergio Ramos and Iker Casillas being the main source of news these days. Once these two delicate situations are solved, or even before, Real Madrid will surely make at least a couple of signings to reinforce the squad. Which should be Los Merengues priorities? Goalkeeper. Keylor Navas is a superb keeper, although he has lacked the necessary confidence to become the undisputed number 1. Given the little trust Navas has been given, it will be crucial to sign a world-class goalkeeper. David de Gea is Florentino Perez’s favourite and it seems like there is no other option but to bring the Manchester United man. Should negotiations fail, Real would need to wait one more year to bring De Gea, so they would have to bring a low-profile temporary keeper. Petr Cech would have been a perfect fit, but he has signed for Arsenal. Bernd Leno is another option. Holding midfielder. Toni Kroos and Luka Modric are the guaranteed starters as the midfield couple. However, in many occasions last season it was clear that Madrid needed a player with better defensive skills to replace or accompany Modric and Kroos in certain games. A player with better physical condition, like Marco Verratti or Arturo Vidal, would surely help Los Blancos gain balance. The Chilean seems like the worst option, given his discipline problems. So Verratti could be the best fit. Paul Pogba is another candidate, but his price seems just too high at the moment. Back-up striker. With Chicharito Hernandez gone, it seems clear that Real will have to sign another striker. However, if Rafa Benitez finally decides to display his usual 4-2-3-1 formation, there might not be such a need, as Cristiano Ronaldo could move from the wing to the number 9 position and Karim Benzema would become the substitute. Still, Benitez will surely want to have at least one more striker to foresee any injury problems. It will have to be a lower-profile forward that can guarantee a good goal-per-minute-played ratio. Any chance Benitez could bring Gonzalo Higuain back? Those three signings are the most necessary for Rafa Benitez to build a stronger team. But of course, should any other players leave, it could be necessary to replace them. Sergio Ramos’ exit would force Florentino to bring a center-back. And not just any center-back. 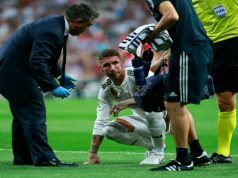 Ramos is arguably the world’s best in his position and his departure would leave Los Blancos in need of a world-class defender. Yet, that is very unlikely to happen, as Perez is not willing to let the Andalusian go anywhere, at least this summer. A back-up left-back would also be needed if Fabio Coentrao leaves. Marcelo will play almost all minutes, but he needs someone who can give him some rest and perform at a decent level. Mattia de Sciglio, Baba Rahman and Ricardo Rodríguez are some of the players who could fit in that role. No doubt we need Verrati please bring him in now and CR7 would be the best option for the number 9 spot. Arturo V. can be disciplined and serve enormously Real Madrid team considering how hard he always plays. And pls don’t let Ramos leave…. verratti and Vidal are good players but anyone bring in will be very fit in central midfield, but although first sign would be De Gea and the second will be one of the two midfielder. Madrid need balance at the midfield, the need vidal to bring balance , and the should sign a top class striker. I’m sure, if We can be able to actualize the deal of M.Verratti, De Gea and a shape top nine player like Chicharito then Ramos and others should at least wait. for, We still need them most, for now. Also, Madrid want Arturo Vidal. don’t ever let sagio ramos leave steal we like him at madridista…. First of all we need to buy varatti and vidal and the most necessary striker is harry kane and morata and the player to sell are nacho,arbeloa.and we also need to play with odegaard this season. Veratti would be a good substitute for Luka Modric and a striker like Sergio Aguero will be really helpful. I like Benzema sometimes though. Comment:Pls let CR7 be on the wing & a striker like veratti should be,bought. Comment:we need so many players like marco varatti,nolito,marco rues,and we need to put more effort on degea and biglie.the players we need to sell are illaramendi,arbeloa,and we need to keep martin odegaard and play with him. we are galacticos. we need to go for the best player’s, and let the worst player’s go. to continue rule the world of football. 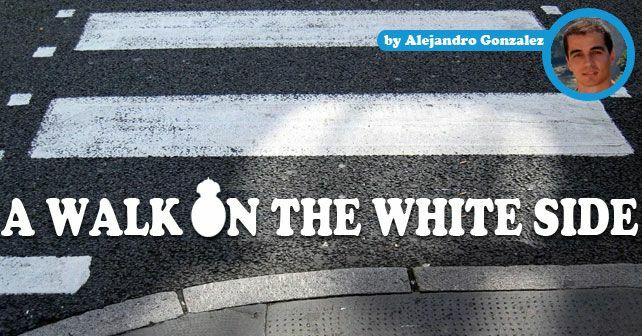 let go of:arbeloa,coentrao and bale is not just serious to be a galactos. Comment:it will better if cr7 continue as a winger. we have no better winger like him. Comment:please buy us players like lucas biglia,marco reus,marco verrati,kane.the players we need to sell are karim benzema,arbeloa,illaremendi.i think if we sell benzema marco reus will arive at santiago.